Carolina Wicker Loveseat | ET&T Distributors, Inc. 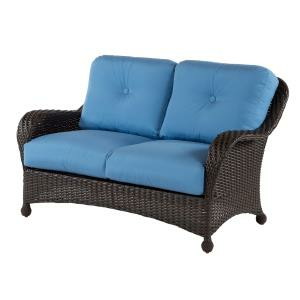 The Carolina Wicker Loveseat is a modern twist on a classic design. This Resin Wicker frame provides the durability with out the work of traditional wicker. Many stylish fabric choices to dress up all areas of your property.